In case the title didn't give it away, I've had 'the baby'! 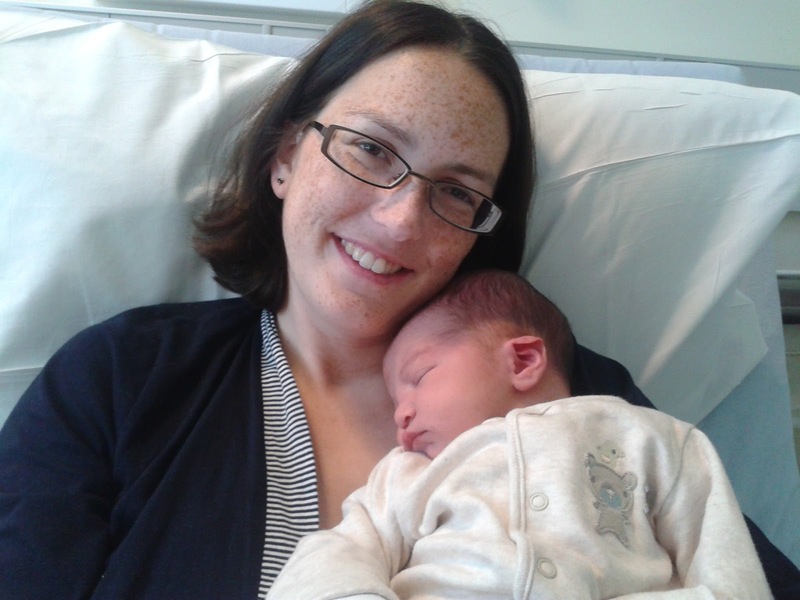 Tobias was born last Monday, weighing a good 8lb 7oz (3.82kg). There was no time for anything other than gas and air once we arrived at the hospital but everything happened so quickly that I didn't have a chance to think about it! I'll fill you in on the whole story at a later date but will leave you with a photo of Mum and son.